Mardi Gras in New Orleans is far more than just a crazy Fat Tuesday. It’s a month-long season of festivities and traditions. You’ll find that both locals and experienced NOLA visitors have mastered the art of going long and strong all month. But if you’re new to this highly extravagant celebration this year, chances are you’re in need of advice about what to do, where to go, how to get around, and more. Read our complete New Orleans Mardi Gras Guide to figure out how you and your friends or family can celebrate, and laissez les bons temps rouler (let the good times roll)! Whether they’re in the parade or not, Mardi Gras merrymakers are often easy to spot. Covered in beads, masks, and all things green, gold, and purple, this is the time of year people go over the top from head to toe. If you prefer to keep things simple, you can purchase some inexpensive beads and pair them with a Mardi Gras rugby shirt and jeans. But if you want to really get in the spirit, go to town with your outfit! We’re talking outrageous makeup, face paint, masks, wigs, glitter, feathers, sequins, costumes, and oversized jewelry. You won’t get the chance to dress this way any other time of year. Any souvenir shop you come across! For shoes, wear something comfortable if you’re planning to stick around for multiple parades or do a lot of walking. If you’re attending a Mardi Gras ball, don’t forget your formalwear. Last but not least, be sure to check the weather! Layer up if it’s going to be chilly, apply sunscreen if it’s going to be sunny, and bring raincoats, ponchos, rain boots, or umbrellas if they’re predicting rain. Different “krewes” exist in New Orleans to organize different Mardi Gras parades and balls. There’s a parade for just about everything here: dogs, red beans, wine—you name it! Stop by to watch the floats, catch beads and other throws, and celebrate in the streets. Mardi Gras can be as simple or as involved as you want it to be. If you’re staying within walking distance of a parade route, you can choose to just show up when your favorite parade draws near and then leave. If you plan to watch back-to-back parades, consider bringing a lawn chair, food, and water, or plan to stop at a local restaurant to sit, eat, drink, and use the bathroom in between parades. With fourteen days of parades and just over 70 parades total across the greater New Orleans area, it’s impossible to see them all. That’s why our New Orleans Mardi Gras Guide has a list of our top parades to see in 2018. If you’re in New Orleans at the beginning of February, check out this parade from the Krewe of Cork. 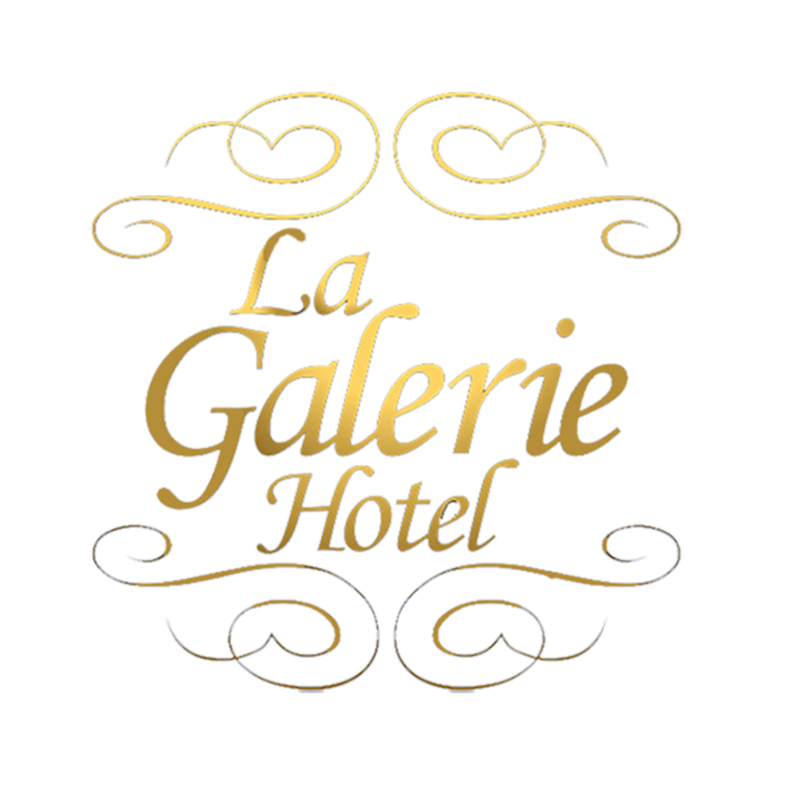 Starting at 3:00 p.m., the parade winds its way around the French Quarter, passing less than half a mile away from La Galerie. Wine-lovers unite to view the krewe’s costumes, which are inspired by grapes and wine. Dogs join in on the Mardi Gras fun at this canine-centric parade! In fact, the Krewe of Barkus is made up entirely of dog krewe members: owners are only considered escorts for their pets. Take in the unique sight of dogs and humans parading side by side. This parade starts at 2:00 p.m., and its route comes within half a mile of La Galerie. Known for their non-traditional Mardi Gras throws and satirical parade themes, the all-female Krewe of Muses is one of the most popular parades of the season. Only a few lucky members of the crowd will catch a handcrafted high heel shoe at Muses, but don’t worry—there are plenty of other throws too. At 6:30 p.m., the Muses parade will begin more than four miles away from La Galerie Hotel, so consider waiting to see them until they reach Canal Street. At its closest point, the parade will be less than a block from La Galerie. The Krewe of Bacchus made Mardi Gras history as one of the first super krewes of New Orleans. These krewes are known for their remarkable floats and costumes. Bacchus was also the first to invite celebrities to participate in their parades, so keep an eye out for this year’s celebrity “monarch” J. K. Simmons on their floats. This parade starts at 5:15 p.m. and spends several blocks on Canal Street, where it will come within a block of La Galerie. Lundi Gras, or Fat Monday, is the day before Mardi Gras. It features two parades, Proteus and Orpheus, which will start this year at 5:15 p.m. and 6:00 p.m., respectively. Founded in 1882, the Krewe of Proteus is the second oldest New Orleans Mardi Gras parade krewe, and its floats still use the frame, wheels, and machinery originally used in the early 1880s. The parade ends where Canal Street meets Chartres Street, less than half a mile from La Galerie. The Krewe of Orpheus, on the other hand, is a much newer krewe, yet it’s one of the biggest parades in New Orleans. Even at its debut, Orpheus was a super krewe! It is also known for its varied and popular throws, emphasis on music, chariots, marching bands, and flambeaux. Don’t miss this parade as it passes La Galerie less than a block away. Although there will be several parades on Mardi Gras, Zulu and Rex are the crowd favorites. The Zulu Social Aid and Pleasure Club puts on the first parade of Fat Tuesday, starting this year at 8:00 a.m. Those who wake up early are rewarded with a distinctive parade from New Orleans’ largest predominantly African American krewe. During the parade’s stretch on Canal Street, it will come about half a mile from La Galerie. Just watch out if you see one of their coveted coconut throws headed your way—it can hurt if you get caught by surprise! At 10:00 a.m., Rex, the “King of Carnival,” arrives. Rex’s popularity is in large part owed to its intricate, gorgeous, hand-painted floats. The krewe chooses a parade theme more than a year before Mardi Gras so float artists can pour thousands of hours into making the floats over the course of the year. Rex will come within a block of La Galerie at the end of its route, making it easy for our guests to enjoy this Mardi Gras masterpiece. For most visitors, Mardi Gras begins and ends with the parades. But locals know there are many more ways to celebrate, and Mardi Gras balls come at the top of the list. During the Mardi Gras season, various krewes will host balls as elaborate as their parades. They are usually black tie or white tie events that involve dining, drinking, and dancing. The majority of Mardi Gras balls are exclusive to krewe members and select invited guests, putting them out of reach of most tourists and even many locals. In recent years, however, several super krewes have opened their balls to the public—for a price. Dining is just as important as anything else during Mardi Gras. Food is a huge part of the culture in New Orleans, and after walking, standing, and cheering for a few hours of parades, you’ll need something to eat and drink. For your breakfast, snack, or dessert, be sure to pick up a king cake. This traditional Carnival pastry is meant to be eaten only during the Mardi Gras season, when more than 750,000 king cakes are sold in New Orleans. Often shared in the workplace and at parties, king cakes come with a small, plastic baby to be randomly placed in the bottom of the cake. Whoever happens to take the slice with the baby must buy the next king cake! King cake can vary greatly depending on the bakery, but its dough is often similar to cinnamon rolls, coffee cakes, or French pastries, and it's topped with icing or sugar, usually in Mardi Gras colors (purple, green, and gold). Some king cakes will have different flavored icing or cream cheese, cinnamon, praline, or fruit fillings. Take a look at this list of bakeries or stop in any bakery you come across to pick up this special treat. Getting around the city during Mardi Gras can be a challenge if you’re not prepared. The French Quarter prohibits vehicular traffic during Mardi Gras weekend, so don’t rely on driving unless you’re seeing a parade outside the French Quarter or before Mardi Gras weekend. In that case, make sure you show up hours in advance to secure a good parking spot! Walk — Many parade routes pass within a block of La Galerie, allowing you to simply walk to see them. Check out the parades listed earlier in this New Orleans Mardi Gras Guide or look up the routes of other parades here. Bike — Most travelers won’t bring bikes with them on a trip, but in New Orleans, you don’t have to! Just rent one of the Blue Bikes located throughout the city or stop by New Orleans Rental Services one mile from La Galerie. Take the streetcar — No trip to New Orleans is complete without a ride on one of our streetcars. This unique, historic mode of public transportation is a great way to get around the city. Plus, a one-day pass gives you unlimited rides on buses and streetcars for only $3. La Galerie is conveniently located just half a block from the Canal streetcar line and three blocks from the St. Charles streetcar line. Browse our Streetcar Guide to find fun stops on either line! With so much to see, eat, and do, Mardi Gras is one of the best times to visit our city. Make the most of your trip with our New Orleans Mardi Gras Guide! If you have any other questions, please call (504) 592-7700 to take advantage of our professional concierge services.